Spanish is the official and most widely spoken language of Panama. The capital of Panama, Panama City. Numerous languages are used by Panama's population, the dominant one being Spanish. Panama has seven native groups which speak several indigenous languages. Spanish has official status in Panama, and about 14% of the population use English as well. Before the Spanish set foot in Panama, the region was home to various ethnicities. The interaction of the incoming Europeans and the residents resulted in Mestizos who account for 65% of Panama's population. Spanish in Panama is the first language for about 4 million of its inhabitants. The Spanish used in Panama differs from the one used in Spain. Panamanian Spanish is the Spanish version used in Panama. This version bears similarities with the Spanish verbalized in the seaside areas around the Caribbean notably Cuba, the Dominican Republic, as well as Puerto Rico and the Atlantic shore of Colombia and Venezuela. The dialect used in Panama City features some English words to form the dialect called Spanglish. The major difference between the Spanish used in Spain and that used in Panama is that speakers in Panama pronounce the letters z and c as the letter s.
An estimated 14% of Panama's population use English. The language is used as a medium of instruction in many educational institutions in Panama. Much of Panama's Caribbean coast was inhabited by communities from Barbados and Jamaica who spoke their English variant. The descendants of these settlers have r been using more of Spanish. The US, when it controlled the Panama Canal, facilitated the spread of English in Panama City. Despite the American presence not all the residents are fluent in the language. Expats are thus advised to learn a little Spanish. 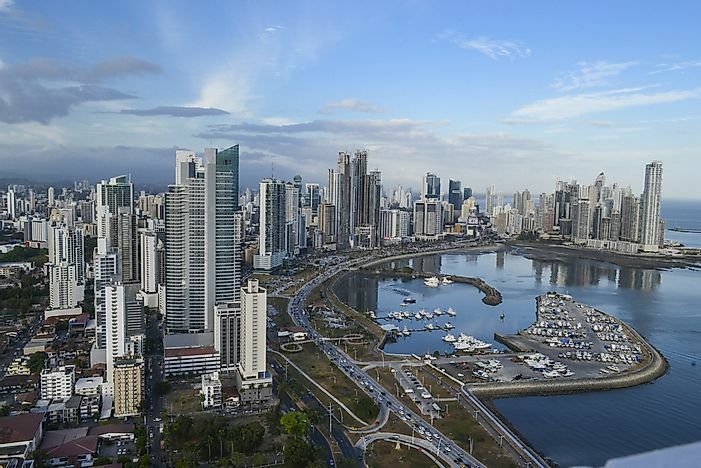 Many residents of Panama who work in business corporations or international firms speak English in addition to Spanish. The Ngäbere language is native to the Ngäbe ethnicity of both Panama and Costa Rica. The language is also called Valiente, Chiriquí, and Movere. The Ngäbes constitute the largest of Panama's native groups. Ngäbere is the dominant form of speech in the semi-autonomous native reservation called the Comarca Ngäbe-Buglé. The language is classified as the Chibchan languages. The Panamanian National Census of 2010 reported 260,058 Ngäbe speakers. The Guaymi community uses the Buglere language whose dialects are Bokotá and Sananero. The Kuna language is heard among the Kuna people who inhabit Panama as well as Colombia. The language falls under the Chibchan language family. The Kuna community lives in the San Blas Islands of Panama. The Embera language has 100,000 speakers in southeastern Panama and the northwestern part of Colombia. Embera is a Choco language, and it is divided into the southern and northern dialects. The Teribe Indians of the Bocas del Toro Province in northwestern Panama speak the Teribe language. Some immigrant communities in Panama use their native forms of speech. The Chinese people contracted to work on the Panama Canal introduced Hakka Chinese on Panama Soil. The workers’ descendants and relatives continue to use the language. Immigrants from the Middle East speak Arabic. Other immigrant languages in Panama are Korean, Japanese, Eastern Yiddish, and Hebrew.